The Knitters helped open all our ears to the fact that loving country and loving punk was not nearly as crazy as it sounds. Remember being a snotty little punk rocker in the early and mid-Eighties? Remember thinking that anything recorded more than 4 months ago was old, irrelevant fluff ready for the scrap heap? Remember thinking that anyone knowing anything about roots music, let alone playing it, was an object of hearty, healthy derision? "And just who the hell are the Knitters?" you might ask. Well, my sad sack, friends, The Knitters were a loose side project of indie rock icons who dared to love folk/roots, who drew a line in the punk sand and said that it was OK to cross it, and who opened all our ears to the fact that loving country and loving punk was not nearly as crazy as it sounds. With one album, Poor Little Critter on the Road, The Knitters (John Doe, Exene, & DJ Bonebrake from X, Dave Alvin from the Blasters, and Johnny Ray Bartel - who has played with The Red Devils - and Mike Ness) left a deep impression on the dewy mohawks of the future Bloodshot clan. 15 years on, we decided to give credit where credit was due and proudly proclaim that without The Knitters, there would have been no Bloodshot (Hey you!! Wiseguy!!! No jokes!!). We also decided to re-create this seminal album, track by track, using musicians who, like us, were blown away by this record. It's quite a line-up including: Trailer Bride, Kelly Hogan & the Rock*A*Teens, The Sadies w/Catherine Irwin (Freakwater), Whiskeytown, The Blacks, Old 97’s w/John Doe himself(!!! ), , Robbie Fulks, Devil in a Woodpile and to top it all off, an unreleased Knitters song culled from their vaults!!!!! Cool Knitters photos round out this lovely package. It's one big 3.2 beer hootenanny, which is fitting, since Poor Little Knitter isn't paying tribute to the honky-tonk hard stuff, but to a squinting, post-punk Sunday-morning hangover that lingers--in this case, for 15 years. 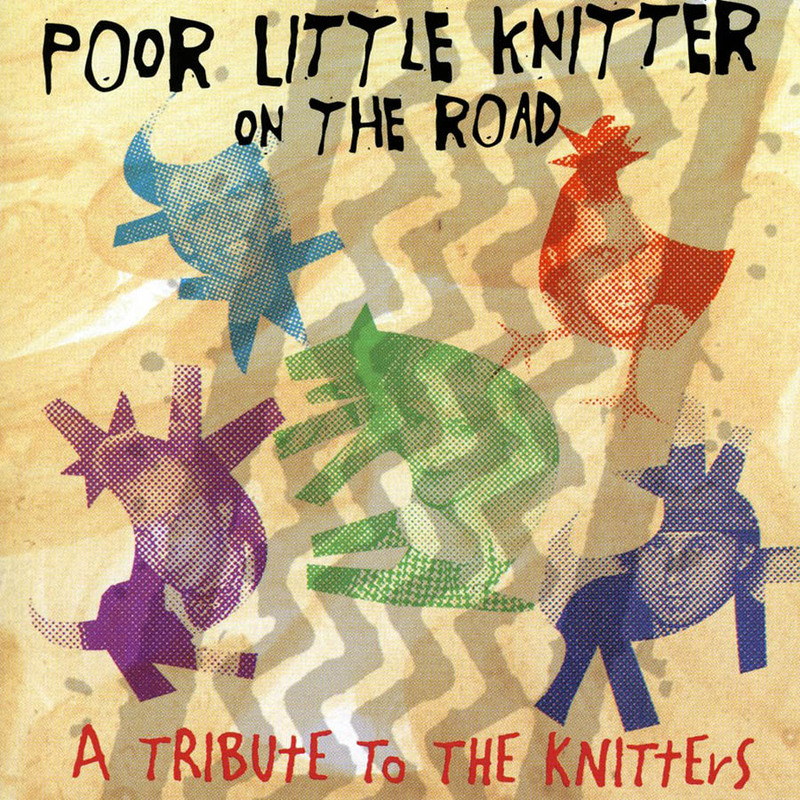 The music here is heartfelt, true to The Knitters original vision, and just great as songs, making Poor Little Knitter on the Road one of the best tribute records ever released.